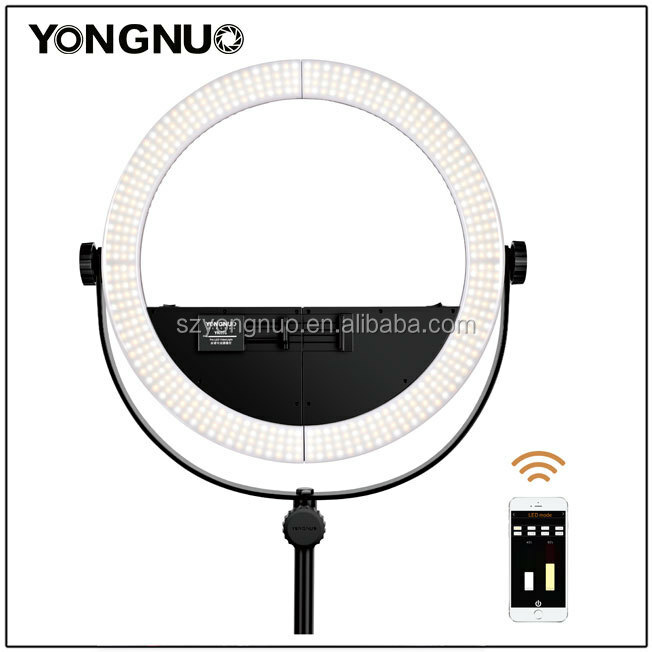 YN508 is the first two-in-one LED video light of YONGNUO, the combined ring light can provide beautifying lighting for live video and selfie. It can also be disassembled in to two individual LED lights for use. YN508 is equipped with customized LED light soft panel, the front fill-in light is softer and more uniform, unshadowed, the combined version of the ring light helps achieve perfect catchlights effect. Dual power support modes meet all kinds of shooting requirements, with the professional U-type bracket, you can adjust any angles for lighting. of the video and photo more perfect. 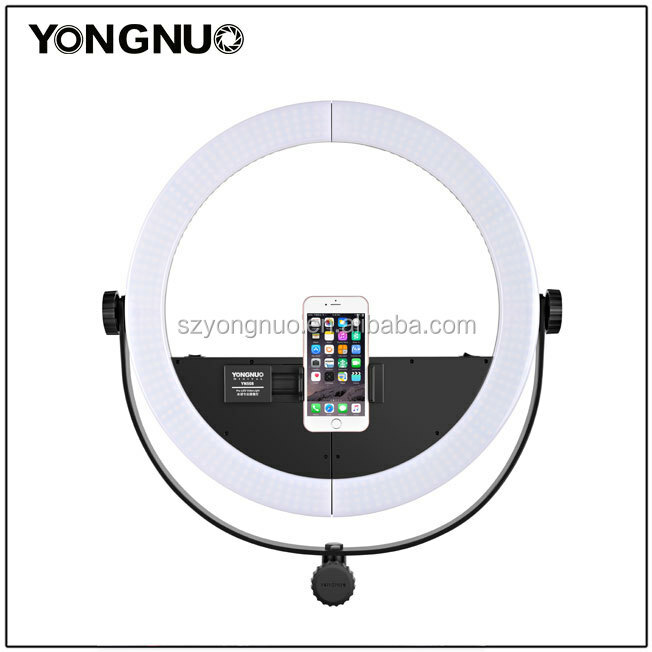 YN508 can be assembled into common ring light for live video and selfie, it can also be disassembled into two common LED video lights for use, easier for lighting. Equipped with professional U-type bracket, adjustable at 360°, it is convenient and efficient to adjust lighting angel, which helps you seize every essential lighting angel when shooting. The diameter of appearance is 42cm, with blue light filtered through soft panel, YN508 easily achieves charming circle eyes effect, makes your eyes look larger and more glamorous. 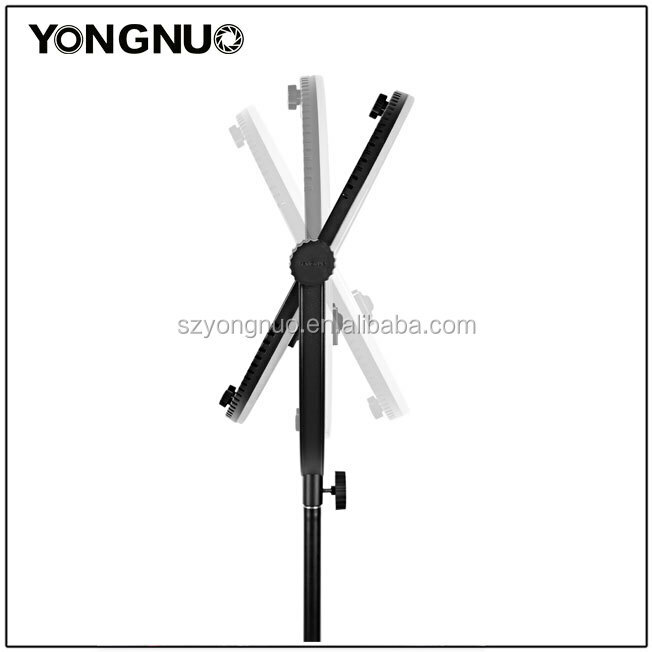 Supports mobile phone APP remote control and YONGNUO 2. 4G wireless control system, which makes it simple and swift to realize the real time adjustment accurately for required color temperature according to the light effect. *Adopts Yongnuo exclusive LED constant current drive technology, the output of the light level is stable and straightforward, the shooting effect is more reliable. You can adjust any angles for lighting, which helps you seize perfect picture easily. Supports Sony NP-F750 series lithium battery, convenient for outdoor shooting, it is recommended to use YONGNUO NP-F750 lithium battery for better shooting experience. *Two models of YN508 for your choice, white-color version is made of 480 lamp beads of 5500K , bio-color version is made of 240 lamp beads of 3200K and 240 lamp beads of 5500K.